“Cigarette smokers might perceive e-cigs as lower harm alternatives or cessation aids,” writes the team, but, “e-cigs might also appeal to non-smokers, potentially increasing the risk of nicotine dependence or eventual use of other tobacco products.” The researchers offer no facts for that final gateway statement beyond citing a 2014 study that ultimately failed to provide anything other than fear and bunkum. An SNP MSP has been slammed for accepting hospitality from a multinational cigarrette firm. Richard Lyle reportedly accepted over £800 in travel and accommodation from Philip Morris International (PMI) despite the fact the company fought the Scottish Government’s policy of plain packaging on cigarettes. Lyle visited the firm’s Swiss factory to help him quit smoking he said. Ash Scotland has called on the first minister to issue and immediate reprimand. The visit came days after the firm, which is best known for its Marlboro brand, was reported to have developed a corporate strategy to counter plain packaging. Lyle said: “The reason I went was not to defend PMI. I took the decision to go because I was given the opportunity to go on a fact finding trip. 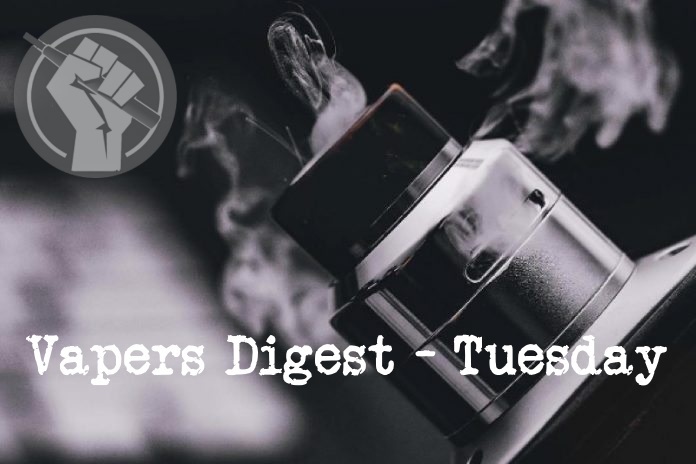 A policy study published this month by R. Street Institute, suggests that the current wave of vaping products’ bans that is spreading across various parts of the world, may after all be illegal when examined under international trade law. India is amongst the countries looking to ban electronic cigarettes, despite the mounting evidence that these products are effective harm reduction and smoking cessation tools. In a policy study conducted by R Street Associate Fellow Maria Foltea, the legality of such bans was looked into and found to be violating World Trade Organization rules. The FDA’s announcement was “one of the best articulated positions in many years,” Andre Calantzopoulos, PMI’s chief executive, said in an interview on Monday. It was the first time a major tobacco executive has spoken in depth about the agency’s proposal. The FDA’s proposal to regulate the amount of nicotine in cigarettes to minimally or non-addictive levels surprised many tobacco control experts, and sent tobacco company shares tumbling. PMI’s shares were spared, in part because investors are optimistic about the company’s heat-not-burn product, called IQOS. Customs in southern China recently seized 600 tonnes of smuggled electronic cigarette oil, with a total value of 300 million yuan (about 44 million U.S. dollars). Over 320 police raided four groups who were suspected of smuggling the oil from the United States, according to Zhou Bin, head of Gongbei Customs Office, which administers Zhuhai and Zhongshan cities in Guangdong Province. The four companies were based in Shenzhen and Xiamen and supplied the majority of the e-cigarette oil in the Chinese market, according to Zhou. In recent years, sales of electronic cigarettes have grown by more than 300 percent annually, but supervision of the industry is still weak, Zhou said. Vaping has been a topic of debate at the 3rd International Conference on Public Policy, held in Singapore. Stefanie Ettelt and Ben Hawkins, both from the London School of Hygiene and Tropical Medicine, gave a presentation titled “Political controversy, issue salience and E-cigarette regulation in Europe: A comparative study of policy debates in Germany and England”. The International Public Policy Association (IPPA) is a non-profit organisation, created in Paris, December 2014. It promotes scientific research in the field of Public Policy, organises international conferences, and develops opportunities to exchange knowledge and experience. The International Conference on Public Policy attracted more than 1300 participants from 73 different countries. There were 20 themes and 268 sessions, during which 1680 papers were presented. Many cities in the United States are raising the age to purchase tobacco products to 21 years. Some of the rhetoric coming out of the groups campaigning for draconian legislation would be at home in a totalitarian state. It’s not what you would expect (or shouldn’t expect) from a country that likes to think that it leads the free world. We keep on saying that once you give in to the health fascists they will keep on coming back for more. This is exactly what is happening here. Just to add a little more tugging of the heart strings, the following letter appeared in the local press last Sunday. Not only does it have inaccuracies, I hardly think this high school senior wrote every word of it. Indeed, you don’t have to be a genius to work out the source of the misinformation.